Haifaa G. Khalafallah founded and presently directs the Sinai Centre for Islamic Mediterranean Studies, SCIMS, a UK based volunteer Muslim educational group. Previously she taught Islamic and Middle East history at Georgetown University, including in its various campuses in Washington DC, Doha, and Alanya. This book offers a long-overdue intellectual biography of the late Egyptian Shaykh Mohammed al-Ghazali (d.1996). But its main purpose is to shed light on Shari’a, a highly politicized concern of our times. Instead of the standard accounts of Islam emphasizing ‘extremists,’ ‘traditionalists,’ ‘moderates,’ or ‘modernists,’ the book introduces a multi-layered approach to understanding the contours of Shari’a rulemaking. It highlights the technical and historical trajectory of this rulemaking process, thereby challenging the prevailing academic narrative as well as popular Muslim narratives. In using this contemporary influential Muslim scholar as a reference, the book assesses what so many Sunni Muslims see in Shari’a, at least in this Egyptian context, and how such devotion could hinder or promote genuine reform. The story of Ghazali starts with his contexts. The book suggests that what is Islamic about a particular law, rule, or a legal argument is embedded in how this argument or rule managed the tension generated from relating an ever-changing set of circumstances (contexts), to unchanging scriptural contents, often in reference to an variety of fiqh precedents that this process generated (texts). Following this outline, the first chapter explores this Shaykh’s intellectual and personal backgrounds as well as his career path. It highlights key features that decided Mohammad al-Ghazali’s great sway among his people, such as communal memories and the institutional affiliations that helped or hindered this influence. This chapter considers the sum of the written records that this Muslim scholar left behind. Those who describe Ghazali as extremist or modernizer draw on these records, but of a particular period. Unaware of the changes and continuities in Ghazali’s overall legacy, many researchers do not connect his arguments with the ever-evolving context in which Ghazali wrote or spoke and, therefore, miss the import of his ideas. With an eye on their settings, the examination of the texts that Ghazali left behind starts with his books. His newspapers columns, videotaped interviews, television appearances, and transcripts of his Friday sermons then follow, highlighting the possible impact each of such medium might have had on his audience. Written documents do not and cannot tell the whole story of Muslim legal mores, however. Early in their history, Muslim societies turned to more elusive texts to decide their fuqaha’s rulemaking expertise: “Texts of tension” is what this book calls the tacit Shari’a manuals that various crises have generated. 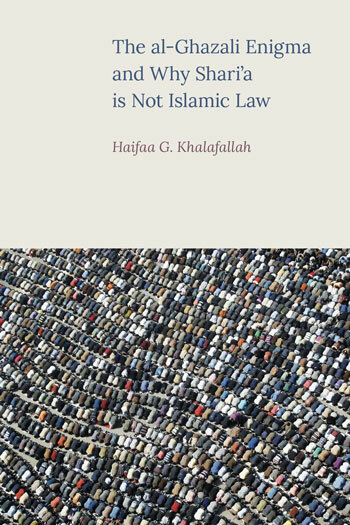 How a faqih responded to challenges of his times have long served as primers in which communities found evidence of the worth of the rules that these experts deduced, providing valuable texts as well as contexts that situate the original purpose of a rule, a legal argument, and clarify the continuities or breaks in Shari’a rule/law-making. 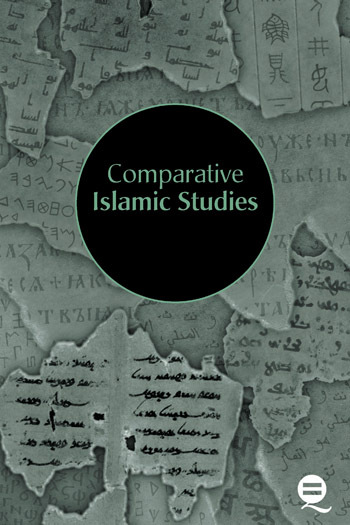 From this all-important but elusive book of tension, the chapter introduces three portraits of some of the commotion Ghazali had stirred or was a central figure in, and which many of his countrymen used to weigh Ghazali’s credibility, and by implication, his Shari’a expertise. The particulars in this chapter also belong to the book of tension. The information they inscribe does not only indicate how a faqih responded to crises but also how society responded to the rules such a faqih deduced during times of commotion. They show Muhammad al-Ghazali back in Egypt between the years 1992-1993. He is at the centre of yet another public controversy unfolding shortly before his death– that is at the timeframe where many locate his progressive credentials. When distinguished experts describe Ghazali as a voice of moderate Islam they mostly pass in silence over the events discussed here. Yet, in this incident involving a debate about Muslim system of government and the subsequent assassination of a secular writer, Farag Fawda, Ghazali appears to have reversed his own call about the centrality of temperance and choice to Shari’a. The import of this episode goes beyond the vision of this one Shaykh, making an essential source-base for the study of Islam’s legal universe. It raises crucial questions such as: Is a Muslim state one that imposed faith by force, where the ‘ulama, such as Ghazali, had the power of life or death over members of society? Or is Muslim organization of the communal life mirrored people’s choices and sought reason and a discerning, yet certain sense of justice–as many, including Ghazali, have often argued? How and who decided such Sharia rules then and now? This chapter illustrate how Islam’s rulemaking process worked in real life, in the case of women. Modern obsession of Muslim women is not the reason for turning to this example, however. The opposing rules that Ghazali deduced on gender throughout his career throw light on the trajectory of Shari’a rule/law-making — as an unceasing flow between divine instructions, proofs of reality, and the precedents that the community established in reading both, the scriptures and the world around it. Consequently, the chapter turns to more portraits from his career and personal life in the trail of the changing yardsticks by which Ghazali measured reality and valid precedent at different times. Chapter six continues the investigation of the case of women, turning to the role of Almighty in Muslim rule/lawmaking. It focuses on how Ghazali determined whether or not Shari’a allowed them to hold general jurisdiction over the community, wilaya. It explores how Muslims have approached contents of the Qur’an in general and how many used it to prohibit women from holding public offices or even populating public space. The discussion then considers the difficult evolution and nature of what Muslims came to regard as divinely-guided precedent, the Sunna. In the late 20th century, Ghazali found himself standing at the fork of a road that split into two conflicting traditions. One side of this road led to their scholarly legacy that preoccupied itself with the integrity of reports about these precedents that their Prophet and his community had set. The other side led to a vast landscape populated by an army of petty clerics that dispensed God’s instructions mostly by means of hadith reports and fiqh anecdotes. Forced thus, Ghazali began to ponder painful questions. 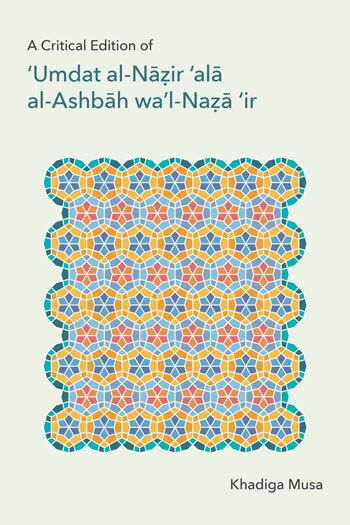 The chapter charts how he turned to the scripture and historical precedent for answers; how, at the end of this intellectual journey, Ghazali concluded ‘novel’ universal Shari’a rules on gender and leadership (including in government and prayers) and, more importantly, he explained the process by which he deduced them according to Shari’a’s methodology. One thing stands out throughout Ghazali’s life, which reinforced his influence among fellow Muslims: his absolute loyalty to Shari’a. Yet, neither the sum of his texts, the various crises he triggered, the Shari’a rules he deduced, nor his own words indicate that such loyalty was to an Islamic law, let alone a definite code. Chapter seven explores the technical and historical outlines of the Sharia rule/lawmaking process, the method to which Ghazali and his people subscribed. It includes a portrait of a seminar that Ghazali held in Cairo, which was attended by some of the most influential scholars of Mainstream Islam in that country. Their deliberations provide a window on this senior crowd’s approaches to Shari’a and fiqh in the late 20th century, highlighting the question of whether or not it matters that Shari’a rulemaking is understood mainly in terms of a law or as a process. The disparity between the assumptions of Islamic law and how these Egyptian scholars view Shari’a reveals worrying gaps in understanding the Muslim experiences, which the author argues, suggests that it is time to overhaul the academic discourse on Islam, especially when it comes to its rulemaking. Towards the end of his life, Ghazali saw a paramount connection between Shari’a and understanding Muslim history, which he then made the centrepiece of his last campaign. This drive to impart to the common person the urgency of sound assessment of the past may be Mohammed al-Ghazali’s greatest, and so far the least noted accomplishment. In considering this last preoccupation of Ghazali and its unexpected consequences, chapter eight also includes contemporary portraits from which the reader can glimpse how, in real life, impressions of their past determine how Muslim communities understand Sharia and power until today. The chapter assesses how Ghazali’s ever-increasing probes of their heritage, including the reliability of Shari’a-related evidence, led him to rethink his communities’ legal and social maps, reverse famous Islamic rules, and battle vocal Sunni groups that previously saw in him a leader of their causes. But, most of all, Ghazali’s probes of their records gave legitimacy to a new Sunni political discourse that spread across his Arabic-speaking neighbourhood. When Ghazali linked the core Shari’a method of rule/lawmaking to understanding the past, including historical struggle of peoples in the West for their rights, this voice of mainstream Islam furnished Arabic-speaking Muslims with a new roadmap for peaceful revolutions which, he told them, sustained, not demolished Islam. The epilogue assesses the role that Mohammad al-Ghazali’s rationale for radical change may have played in bringing about the Arab-Spring uprisings in Egypt years after he died.